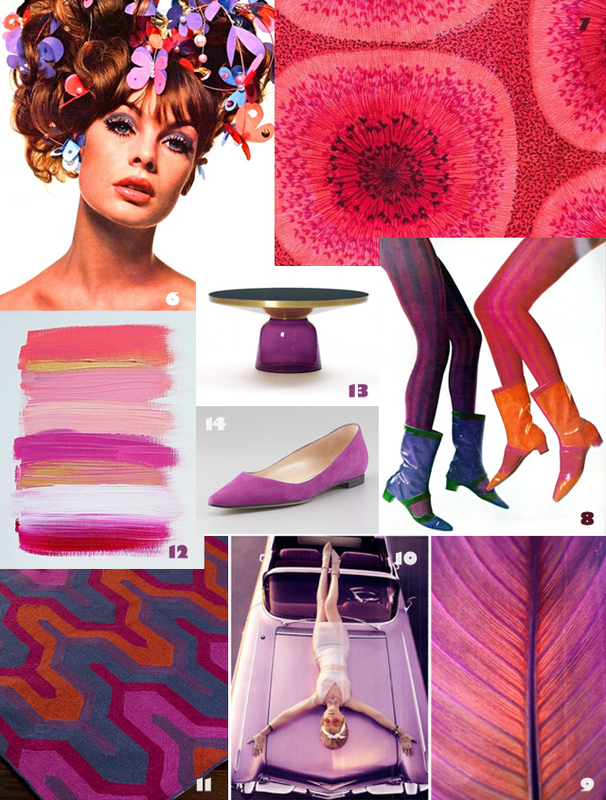 This year’s fall trend report headlines read MOD. 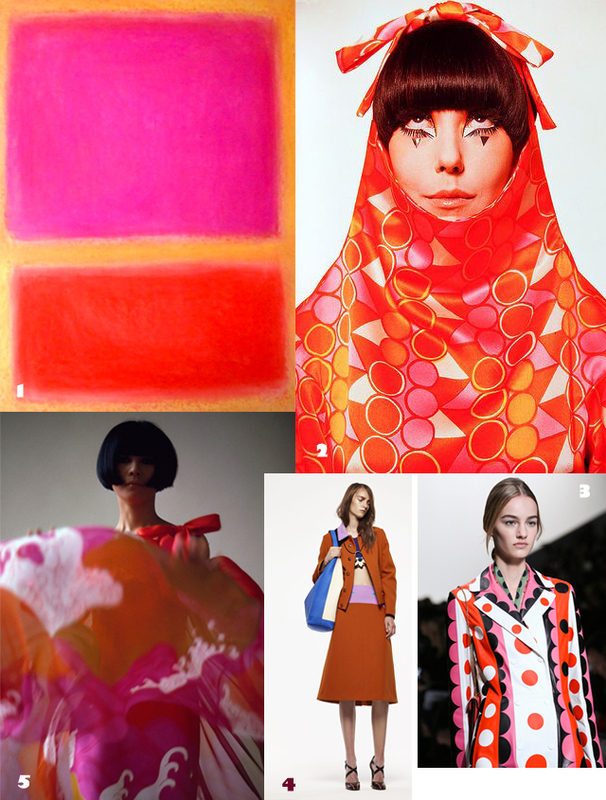 From Rothko to Go-Go we’ve compiled our favorite vintage snapshots and current runway looks reminiscent of our very own “Color Block” Justine Scallop bag. The recent revival of late 1960s textiles, graphic design, and vibrant color palettes can be seen in ready-to-wear shows by Valentino, Marni, and Louis Vuitton. Our own version of this psychedelic combination is overlaid with our signature art deco-inspired Scallop print in gold metallic, resulting in a unique piece that suits the trend, livens up any outfit, and avoids looking like a 1960s flight attendant. This entry was posted in Uncategorized and tagged accessories, binichic, boutique, design, fashion, graphic, history, inspiration, product. Bookmark the permalink. It gives BiniChic’s color sense a new context. Love the fresh and bright–especially now that its high summer. 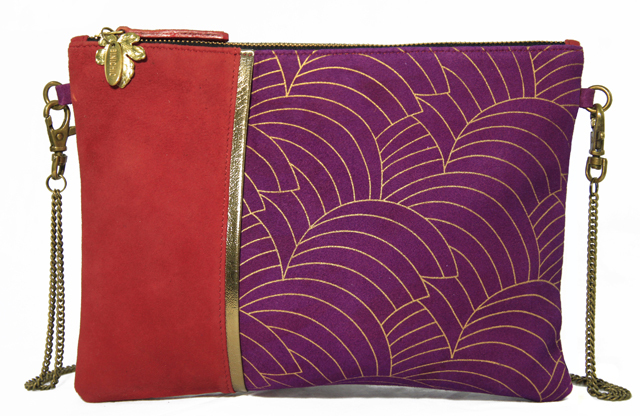 Just bought one of your lovely purses from the kimball. Art museum n Fort Worth, tx. Where else in Texas are they sold? Are they sold from an Internet site? Thank you. We also have our online store http://www.binichic.com — and you can use the cupon code FALL20 to get an additional 20% off.